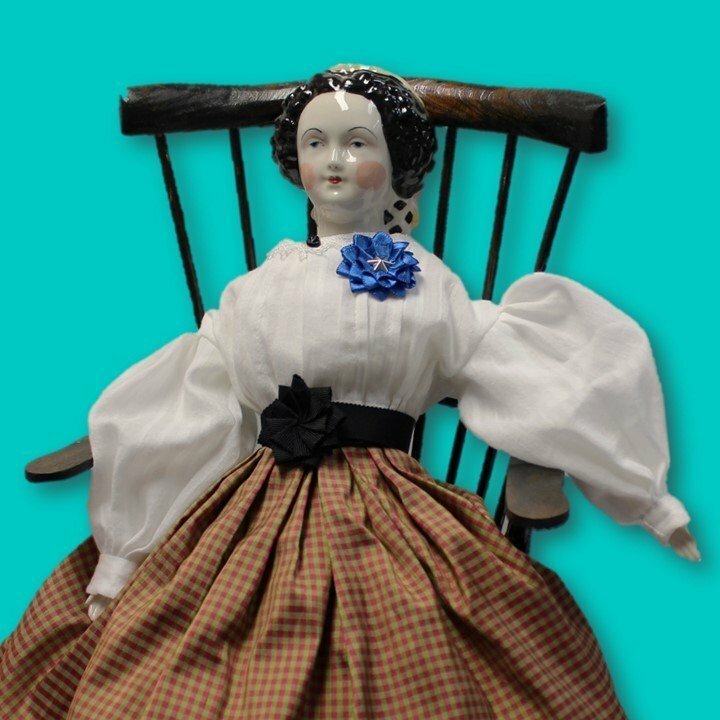 Give your doll some Southern pride! Secession cockades could be all red, all blue or red and white. They often had a gilt star for a center emblem. This lovely mini cockade features a tiny silver star nestled in two layers of satin ribbon. It's approximately 1.5" across. Choose a plain back or a magnetic clasp for the back.